When you’re looking for that perfect blend of efficiency and ample interior room, a subcompact SUV is always a wise choice. These model types are built to give you great return on investment both in the city and on the open road, exemplified with vehicles like the all-new 2019 Hyundai Kona. It’s one of Hyundai’s newest entrants to the American market, but it’s already causing quite a stir with just how much it’s capable of – you'll get available All-Wheel Drive capability, great tech connection, and a powerful, economical ride for a starting price south of $20,000. 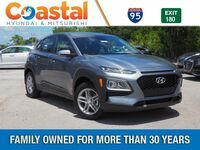 Best yet, the 2019 Kona is available near Titusville today! 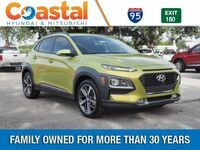 We invite you to join our Coastal Hyundai sales team as we run you through the 2019 Kona model’s paces – it has much to offer for drivers of all ages and styles, so we’re sure you’ll find something to love. Check out what the 2019 Kona can do below! 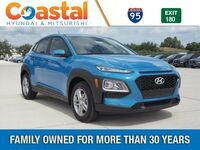 Don’t hesitate to contact our Coastal Hyundai sales team as soon as you can if you’re interested in getting behind the wheel of the 2019 Hyundai Kona. We’re always happy to show you what we know about the model, and we think you’ll take a liking to it as well; hope to see you soon!